Heavy rain accompanied by large Thunderstorms had swept over the beaches of Southampton, New York the previous night. 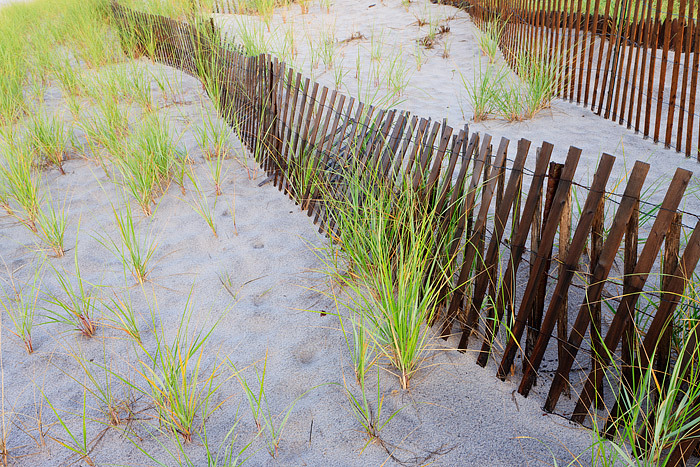 I arrived at Halsey Neck Beach to find the dune grasses and fences covered with rain from the previous night. The Sun was about to rise brining forth another beautiful day for the beach, but water droplets and moisture on the fences and dune grasses helped to bring out the subtle tones. Photo © copyright by Thomas Mangan.